File photo of Boris Johnson. 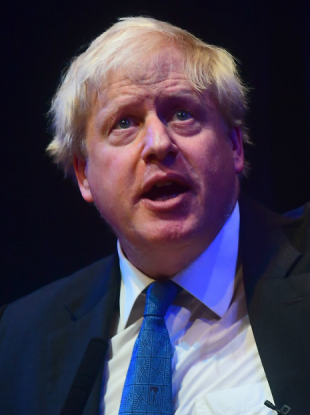 BORIS JOHNSON HAS called on his former Cabinet colleagues to stage a mutiny over Prime Minister Theresa May’s Brexit plan. Writing in The Daily Telegraph, the former Foreign Secretary said the British government is “on the verge of total surrender” to Brussels. Johnson writes that May’s plans for a customs union backstop are “shameful” and cannot be “conceivably” supported by any of her Cabinet. “I really can’t believe it but this Government seems to be on the verge of total surrender. With every day that passes we seem to be getting more craven. “We have already agreed to hand over £40bn for nothing – and certainly not a trade deal – in return,” he writes. Johnson’s brother Jo resigned as Transport Minister on Friday. He said the government’s Brexit proposal was a “failure of British statecraft on a scale unseen since the Suez crisis”. Meanwhile, there is some disquiet in Labour about Brexit negotiations. Party leader Jeremy Corbyn told Der Spiegel Brexit can’t be stopped, prompting criticism from some of his MPs. Simon Coveney, Tánaiste and Minister for Foreign Affairs and Trade, is due to meet with the EU’s chief Brexit negotiator, Michel Barnier, in Brussels today. Coveney and Minister for European Affairs Helen McEntee will be briefed with the EU27 Foreign Ministers on the latest on Brexit negotiations. Speaking to reporters in Dublin today, Taoiseach Leo Varadkar said it would be “preferable” if a Brexit deal is reached this month but, if not, an EU summit will go ahead as planned in December. On another note, Varadkar says EU Council summit may happen before end of month if Brexit deal is reached, otherwise it will happen next month. Says lots of work is going on behind the scenes to reach a deal asap. Northern Irish party leaders from Sinn Féin, the SDLP, the Alliance Party and the Green Party, who all wanted the UK to remain in the EU, are in London today for a series of engagements. All four parties are expected to insist on the inclusion of a backstop in any agreement to avoid the return of a hard border on the island of Ireland. On Friday, DUP leader Arlene Foster said she will not support a border being created in the Irish Sea. Email “Boris Johnson says Cabinet should stage a mutiny over Brexit ”. Feedback on “Boris Johnson says Cabinet should stage a mutiny over Brexit ”.